Irish Machine Vision are a proud user of Cognex Equipment. Cognex is the world’s leading provider of vision systems, vision software, vision sensors and surface inspection systems used in manufacturing automation. 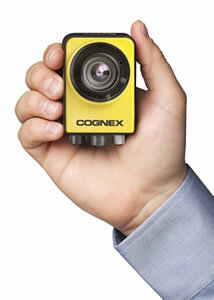 Cognex is also a leader in industrial ID readers. Irish Machine Vision and Cognex helps companies improve product quality, eliminate production errors, lower manufacturing costs, and exceed consumer expectations for high quality products at an affordable price.